For treatment RCC Thiruvananthapuram has multi-disciplinary system which includes different therapies and surgeries. 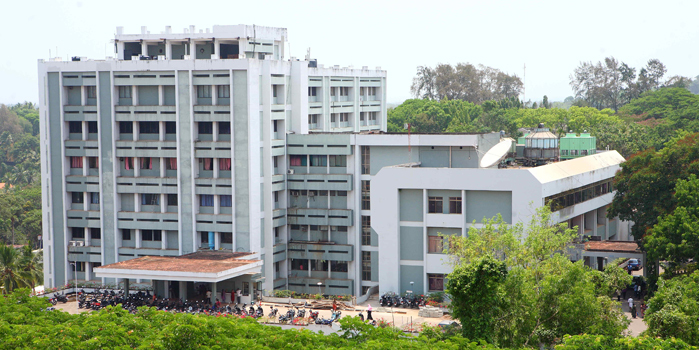 The Regional Cancer Centre (RCC), in Trivandrum was established in 1981 jointly by the state government and the central government. RCC Trivandrum is an internationally recognized centre for conducting a wide range of cancer research and providing facilities for cancer diagnosis, treatment, palliation and rehabilitation. Their goal is not just cancer treatment; the centre hopes to control the disease as much as possible. Regional Cancer Centre Trivandrum also conducts awareness programmes through the media, through camps and classes aimed at preventing the disease. In Kerala more than Thirty-five thousand people are diagnosed with cancer. Out of these, only 13,000 people visit the Regional Cancer Center in Trivandrum. “About 30% of the cases can be prevented and another 30% is completely curable through treatment.” says Surendran Chunakara, Public Relations Officer, RCC. “For the rest of the patient, RCC try to give them quality life in their last days through palliative care and make the death easy and painless” he added. For treatment RCC Thiruvananthapuram has multi-disciplinary system which includes different therapies and surgeries. There are also hi-tech treatment facilities like Bone Marrow Transplantation, Radio Therapy and Micro Vascular Tissue Transfer. RCC Trivandrum is following a category-based billing to its patients. There are three categories F (Free), M (Minimum) and O (Ordinary). ‘F’ category is for those patients coming from socio-economically poor background and the treatment is free for them. However, they still need to pay for the medications. The next ‘M’ Category covers 30% of the patients and they have to pay around 40% to 50% of the expenses. The last ‘O’ category patients have to pay the whole amount.